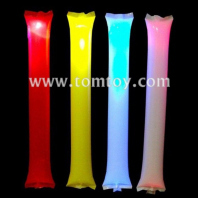 LED inflatable toys has thunder bang sticks, swords, saber, hat, headband and so on. It is made of eco-friendly recycle materials, safety for kids and adults. Used in multiple occasions, including weddings, bridal shower, baby shower, birthday parties, carnival festivals.